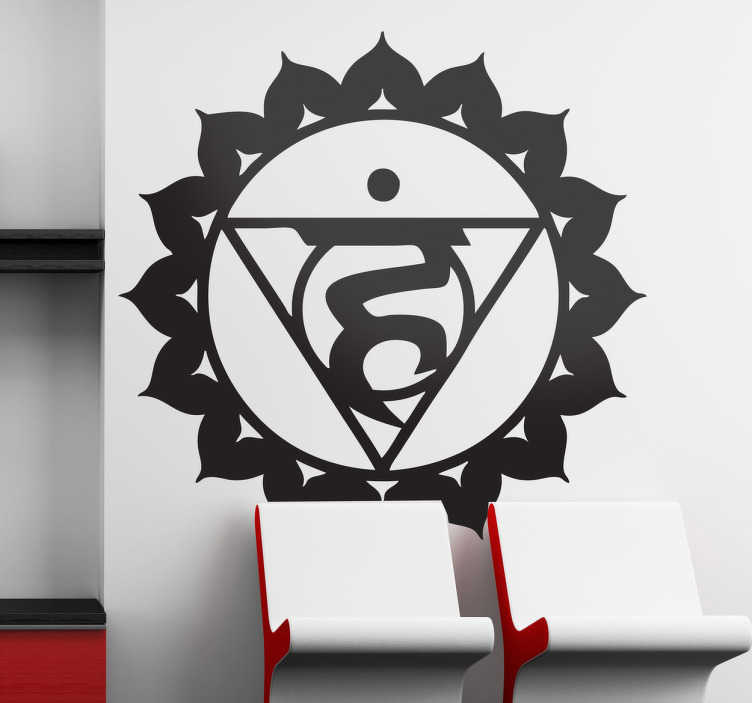 Visuddha Chakra wall sticker which represent a pure and clear Chakra. It is what is left when all the things are taken away from you which derived from the elements of earth, water, fire and air. With this original decal you can bring ta pure atmosphere for your home. This decorative sticker is available in various colours and sizes.